Firmly with tongue in cheek, I contend that Microsoft has been missing a trick in marketing the Lumia 950 XL (and 950). OK, two tricks. The first one is not marketing it AT ALL. The way to sell something, guys, is to let people know it exists. The second trick is spotting a gap in the 2016 market. 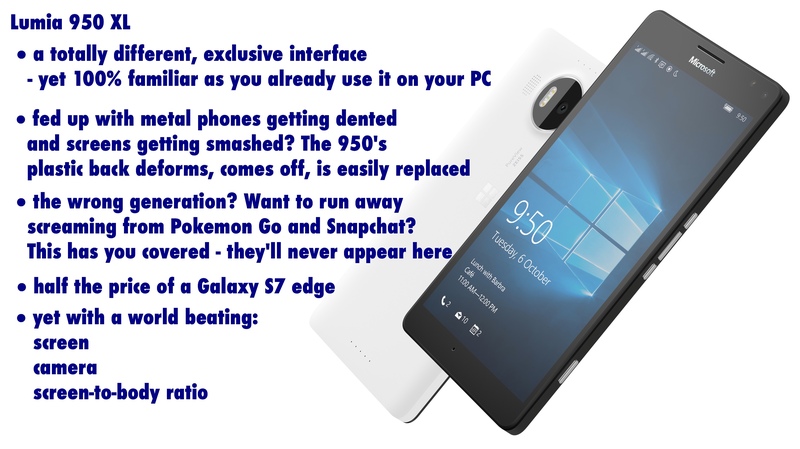 Whereupon I put forward my idea for an 'alternative' Lumia 950 XL advert - it's about making people think about what they want - and don't want - in a modern smartphone!